Quiz: Do You Know the Keys to Financial Security? The following quiz has been designed based on economic journalist Knight Kiplinger’s “8 Keys to Financial Security”, an enlightening publication with Kiplinger’s own personal financial wisdom. The article was first introduced in 1997 in the 50th anniversary of Kiplinger Magazine, and again in both 2002 and 2008. Along with being an economic journalist and active philanthropist, Kiplinger is the Editor in Chief of Kiplinger Washington Editors in Washington D.C.
1. Where should your money be spent or invested first? ANSWER: (b) Investing in myself. Developing and increasing your knowledge and skills through continuous education and training should be considered your most valuable asset, since this will ultimately determine your overall earning power. 2. What is one of the most important items to acquire as you move forward in life? ANSWER: (d) Insurance. Prior to investing in financial assets, make sure you have enough insurance to cover the big risks in life such as serious illness, disability, or early death. If an emergency arises, insurance will take care of it and you will not have to dip into your financial investments as much. 3. What items should you purchase using borrowing methods (credit)? ANSWER: (c) High price, long-term items. Use your borrowing methods wisely to purchase investments of lasting value, and make sure to pay off as much as possible as quickly as possible to avoid interest fees. 4. In what order should your payments take place? ANSWER: (a) Investments, savings, bills, credit card. Trim and prioritize your spending so that you are able to pay into your mutual fund, money market, or brokerage account first so these investments can continue to grow. Then add money to your savings account/emergency fund and pay all of your regular monthly bills. Finish up by making a payment toward your credit card or other debts. 5. What is the best method to investing? a. Take big risks; the more times you swing, the more homeruns you will hit. b. Take moderate risks; you hit some and you miss some. c. Take a risk and swing only when you think the time is right. d. Don’t take any risks at all; you can’t lose if you don’t play. ANSWER: (b) Take moderate risks. Use dollar-cost averaging to invest regularly in markets whether they seem good, bad, or indifferent, and maintain the patience to wait out the occasional bear market. 6. What should be included in your investment portfolio? ANSWER: (d) All of the above. Successful investors know that each asset category will perform at some point, and on the reverse, each category will also have a time of lull. Having a diversified portfolio with all of these types of assets will ensure the best performance over the long-haul. 7. Which famous quote should be your personal money mantra? ANSWER: (a) Aristotle said it best. Saving money is always a good idea (Franklin), but making investments allows for growth you wouldn’t otherwise experience. Also, you shouldn’t have to feel as if you are living in poverty (Picasso), but living beyond your means (Lewis) is not the right concept either. Instead, get in the habit of making consistent and informed financial decisions on a daily basis, and you can lead an agreeable lifestyle while keeping your long-term goals achievable. If you need to, look closely at your current lifestyle and budget, trim back dispensable spending, and invest and save on a regular basis. 8. How generous should you be when giving your time and money to others. ANSWER: (d) I should give what I can afford to give, when I can afford it. You own financial security is connected to the financial, physical, and spiritual health of others in your community, in our nation, and in our world. Sharing your good fortune by donating your money, time, and talent helps to create a stronger economy and a healthier, safer world, which benefits us all in the long run. Are You Making Smart Money Moves? A recent post under Personal Finance on the U.S. News & World Report website listed 50 Smart Money Moves. We have taken our top 30 from this list and created a "Financial Check-Up" for our blog readers. Check each smart money move you believe you follow on a regular basis, and see where your money-moves rank with our results below. ( ) Decide on financial goals. ( ) Create a spending plan. ( ) Resist retailers' enticements. ( ) Track your own spending. ( ) Don't accept posted prices (i.e. price-matching). ( ) Research products online before visiting stores. ( ) Earn money from more than one source. ( ) Negotiate your salary. ( ) Don't shy away from all debt and make sure to choose the best credit card or loan for you. ( ) Pay off high-interest-rate debt quickly. ( ) Check your credit report and build a solid credit history. ( ) Track and review account statements. ( ) Take advantage of rewards cards. ( ) Adopt a hands-off approach to investing (consider a professional). ( ) Remember the risk-versus-reward rule. ( ) Start early, invest often. ( ) Don't try to time the market, and don't follow the market every day. ( ) Check your Social Security statement online and calculate your own retirement number. ( ) Take baby steps. ( ) Save even when you're not earning. ( ) Live with family members. ( ) Look for non-financial ways to help family members. ( ) Prepare to help aging parents. ( ) Avoid sharing credit accounts. ( ) Live more simply, use fewer products, and find cheaper hobbies. ( ) Plan weekly meals. ( ) Make sure you're ready for X (house, baby, retirement, etc.). ( ) Cancel/avoid catalog subscriptions. ( ) Find ways to lower your utility bills. Moving at the Speed of Slow. Though you may not be where you should be now, there’s still hope! Which of the above are you doing regularly and which areas do you need to work on? Consider the ways you can start to implement these things into your life, put them into practice, and monitor as you go. You’ll be glad you did. If you need help getting started, don’t be afraid to ask for it! Moving in the Right Direction. So you’re not quite there, but don’t give up. Be sure to track your progress and make adjustments when necessary. If you need advice to reach your goals, contact a professional. 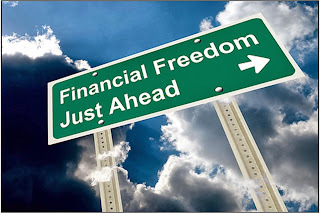 Moving toward Financial Freedom...and freedom is fun! Way to go! You’ve worked very hard and it’s paying off. Slip-ups and setbacks can (and likely WILL) happen, so be careful not to regress backward. Keep up the good work and you can enjoy the fruits of financial freedom! PIMCO (PacificInvestment Management Company, LLC) produced a market-relevant article earlier this month entitled “Stay The Course”. This article discusses four (4) reasons why long-term investors should remain focused on their goals and not fear rising rates. Click here to view the full article (with visuals!) in PDF form. 1) Rising Rates Build Income: With interest being the primary driver of bond returns, reinvesting into a gradually rising rate environment can actually help build long-term growth. When rates rise, new bonds may pay higher, which can increase what you (as a lender) receive in the long run. 2) Lower Volatility Helps Preserve Capital: During uneasy times in the market, investors are often reminded why fixed income investments can be solid anchors for their portfolios. Bonds have historically been less volatile than stocks, while also providing capital preservation, income and growth, and low-to-negative correlations to equities. 3) Cash ‘Safety’ Comes at a Price: Investors concerned about market fluctuations and short-term bond volatility may be tempted to withdraw their investments until prices stabilize. However, with cash and money market investments typically yielding rate of returns close to zero, and especially after accounting for inflation, these types of investments can actually provide a negative return. Compounding over the long-term, maintaining investments in bonds will almost always generate a higher rate of return. 4) Experts Have Access to a Diverse Toolset: Although mainstream media tends to focus on U.S. Treasuries (which are the most sensitive to changing rates), the “market of bonds” is exceedingly diverse and global, including corporate and high yield bonds, mortgage-backed securities, floating rate issuers, emerging market bonds, and many others. Since each sector or asset class responds differently to economic and market trends, a skilled bond fund manager should be capable of diversifying a portfolio which can defend against capital losses while also capturing a range of growth opportunities. PIMCO is the world’s largest bond investor and one of the world’s largest active global fixed income investment managers. As of the end of 2012, PIMCO had $2 trillion in assets under management. 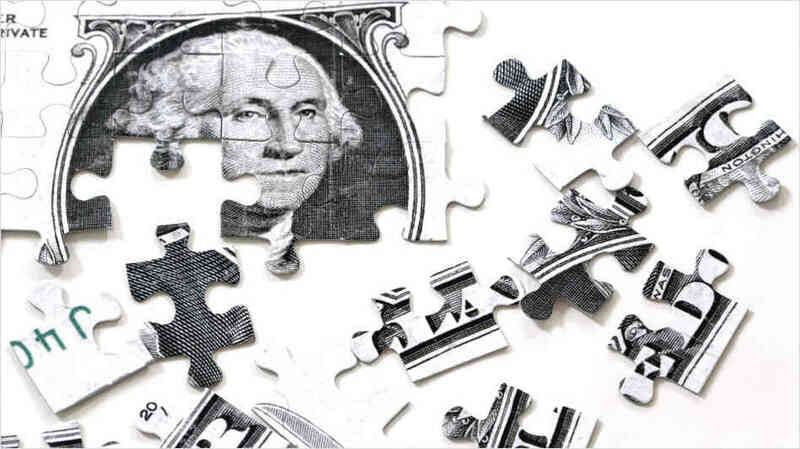 Last month, T. Rowe Price Investor featured an interesting article providing advice about investing in a broad range of sectors, capitalizations, and geographic regions. The article also explains how this diverse asset allocation minimizes your exposure to risk in any one area, expands your ability to benefit from opportunities in the global economy, and reduces volatility in your portfolio. Establishing an appropriate mix of stocks, bonds, and short-term holdings is just the beginning. Click here to read the article and comment below to let us know how a diversified portfolio has benefitted you through recent market changes. Narrated by American businessman Ray Dalio, this video explains the economy and its cycles in a simple and helpful way. Dalio is the founder of Bridgewater Associates, one of the largest hedge fund investment management firms with nearly $120 billion under management. Dalio was also listed as one of "Bloomberg Markets' 50 Most Influencial" people in 2011 and 2012.